For the past couple of weeks I’ve been tinkering away on what turned out to be a rather complicated bag. I was pattern testing, so I can only show you a few sneak peaks. 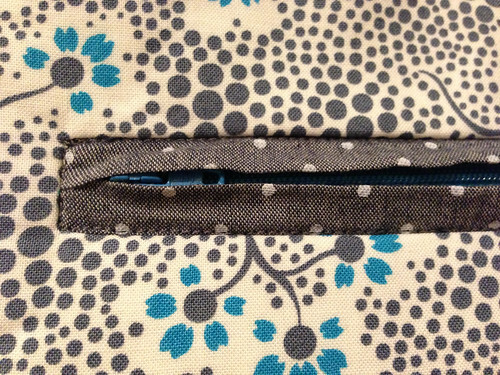 There were two fully lined feature pockets to construct. I’m stilling hunting for the perfect buttons to finish them off! Some bag hardware to incorporate, including 0-rings, a strap slide adjuster and a magnetic clasp. And some new techniques to conquer. Zippered welt pockets anyone? It was fair to say, I didn’t really know what I was getting myself in for (this is apparently quite an advanced bag), but I’m really pleased with the result. This is the second bag I’ve made (sneak peaks of the first can be seen here) and I’ve found that the basic bag making skills are quickly learned and easy applied on future makes. In other words, the sewing of the basic bag pieces, and the lining, was much faster this time around. 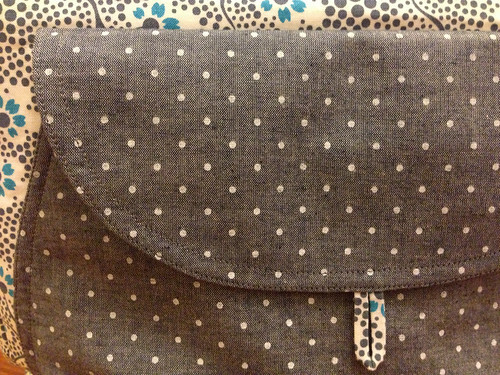 I’m also using my new bag making skills in my garment sewing. 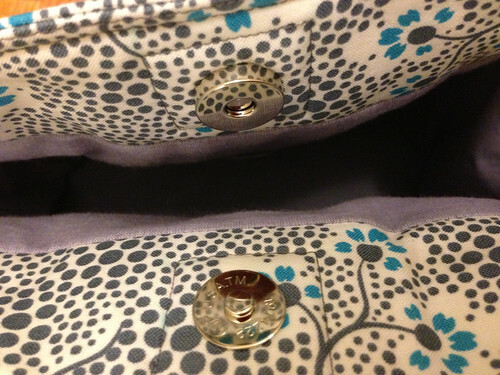 Fusing pockets in place before sewing them on is SO much easier than pins! In my post last month titled All About Me, I shared with you some of the Melbourne bloggers that I love to read. At the time I hoped I wouldn’t forget anyone, and of course I did. My apologies to the lovely Robyn from Sew Love Red. Did you seen Robyn’s recent emerald bathers or her new blue shorts? i’m excited to see the big reveal! Ohhh! There are some fantastic features here! Mmmm zipper welt pockets!